Benefits of Being a Vegan Being a vegan has become more and more popular recently. It has grown by 500% in the last 3-years. Why is this so? Below are some reasons that might make you question whether you should join this way of eating. Fights Cancer According to the American Institute for Cancer Research the phytochemicals in plant based foods are cancer fighters. Yes, that's right! It means fruits, veggies, grains, and beans contain phytochemicals to reduce the kind of oxidative damage to cells that cause cancer. Less Risk of Diabetes Researchers found that eating more plant protein and less animal protein had a 35% less risk of getting diabetes. This is because plants don't have the high sodium and additives that meat has, particularly processed meat. Reduces Risk of Osteoporosis, Gallstones, and Kidney Stones The Physicians Committee for Responsible Medicine states that meat forces calcium out of the body which puts you at risk of osteoporosis, gallstones, AND kidney stones! Lowers Blood Pressure People who follow a vegan diet tend to have lower blood pressure. Fruits and vegetables, unlike meat, are low in sodium and rich in potassium, thus reducing blood pressure. Haves Leaner Bodies Vegans tend to be leaner physically because plant based diets contain less fat and more fiber, therefore, fewer calories. Foods like greasy hamburgers, steaks, bacon, and ice cream are not allowed in the vegan diet. Does Not Harm Animals A BIG benefit from being vegan is that there is no harm to animals. No trapped, caged, hurt, and killed animals. Now isn't that a good thing? According to Holistic Centers across the nation a plant based diet is the best way to eat to prevent cancer. They also say it's also good for your waist, which is always a plus! This diet relies on minimally processed foods from plants, including vegetables, whole grains, legumes (beans and peanuts), tubers (potatoes), nuts, and fruits. This excludes all animal products such as meat, poultry, seafood, eggs, and dairy products. That's right, bye-bye ice cream and cheese! If you are interested in this diet and are wondering if you'd be getting enough protein, no need to worry because you can. Our culture is protein obsessed thus meat is emphasized in virtually every meal. The amount of protein in a typical American diet is higher than what they actually need to consume. Americans tend to eat twice as much as the USDA recommended dietary allowance! Men over the age of 19 only need 56-grams of protein while women are just under that at 46-grams. There are actually plenty of protein sources to choose from with the plant based diet. Included are lentils, split peas, beans, hummus, quinoa, leafy greens, tofu, edamame, tempeh, seeds, wild rice, and tahini. If the animals you eat live off a plant-based diet then why not do it while cutting out the middle man? 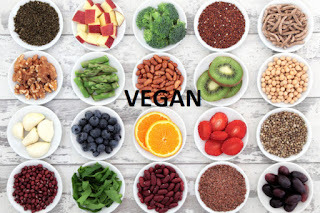 A plus is if you eat a plant based diet you will be avoiding the saturated fats and cholesterol that are in the typical American diet of hamburgers, hot dogs, barbecue, etc. Have you tried Morning Star's Black Bean burgers? They are amazing and are found in the freezer section of many grocery stores. 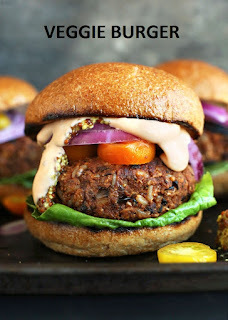 If you're up to cooking a veggie burger from scratch I have found many great recipes on Pinterest.